Perth is modern, vibrant and cosmopolitan, the city is blessed with a fantastic climate and a wealth of things to see and do, visit beautiful Kings Park which offers sensational views of the city's modern skyline and the meandering Swan River, enjoy a sunset cocktail on Cottesloe Beach, see the quokkas on Rottnest Island and explore the Swan Valley's exquisite wineries. Perth is Australia's friendly city, blessed with abundant sunshine and beautiful surrounds, it blends vibrant urban chic with a laid-back outdoor lifestyle, Perth's modern skyline is best viewed from stunning Kings Park which offers great views of the city and the meandering Swan River, nearby attractions include the Swan Valley wineries and historic Fremantle. Today explore Perth at your own pace. Take a stroll around the city or maybe visit Fremantle. The choice is yours. Busselton is a charming and lively town that is famous for its incredible 1.8 km jetty that stretches out into the sea, the town's waterfront precinct is home to vibrant cafes, bars, restaurants and kiosks, the calm surrounding waters are ideal for swimming, fishing and snorkelling, popular here in season is whale watching as migratory whales make their way past the town's shores. Drive south from Perth stopping at Mandurah for a coffee break, the Featured Wood Gallery & Museum and Busselton, home of the largest wooden jetty in the Southern Hemisphere. Browse through Vasse Virgin (formerly the Natural Olive Oil Soap Company). Experience a sunset scenic tour (June – September) and seasonal wildflowers. Western Australia's Margaret River region is an area of outstanding natural beauty, famed for its vineyards which produce world-class wines and its abundance of delicious and fresh produce, the scenery is sensational and diverse, rolling green hills, towering timber forests, rugged coastline and sensational beaches all combine to provide a sumptuous visual feast. Depart this morning for a winery and brewery tour. Enjoy personalized tastings of wine, coffee, cheese olive oil and chocolate. Have lunch at Cowaramup Brewery and enjoy a complimentary crafted brew or local wine. Mammoth Cave lies in the Leeuwin-Naturaliste National Park in south-western Western Australia, this large and atmospheric cave is home to stalactites and stalagmites and large fossil deposits, the cave's majestic caverns and chambers are easily navigated by raised boardwalks and platforms, an 'audio-tour' on a provided headset gives interesting facts and information. Depart Margaret River and explore Mammoth Cave. Take in the Boranup Forest and browse through the Boranup Gallery. Pass through Augusta before visiting Cape Leeuwin Lighthouse, the tallest lighthouse on mainland Australia. Stop for lunch in Augusta before heading back to Margaret River to enjoy some free time. Farewell Margaret River and make your way back to Perth. Breakfast, Gourmet Small Group Tour with Hotel Pick Up, Café Lunch, Overnight Perth Accommodation. 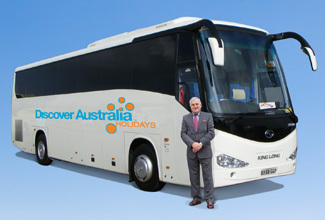 Your special overnight Luxury Coach Touring includes 4 meals. The luxury vehicle has a personalised air-conditioning, a video system and an onboard toilet. 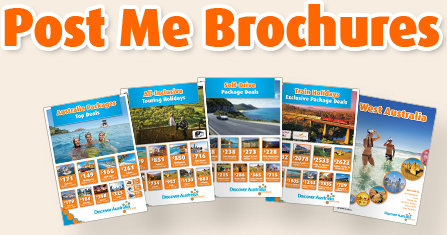 The Perth & Margaret River Discover is very popular. Many dates book out well in advance, please book soon.